“Scarborough Fair” is available now! And grab the new single on iTunes, Amazon, CD Baby or your favorite digital download place. There is also a new Thistle Glen podcast waiting for you! We talk about the new single “Scarborough Fair” and why it was recorded, new updates everywhere and teaser video. Thank you so much for all the kindness! Click here to listen or on iTunes. I’m so excited to share this special song with you. 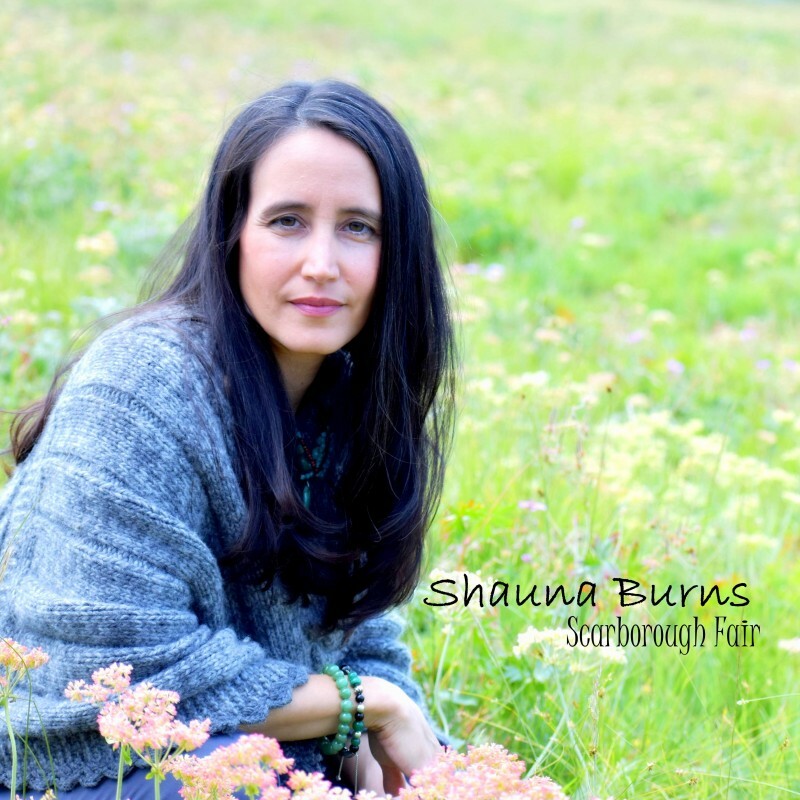 Remember at Shauna Burns.com you can now sample a preview of “Scarborough Fair” on the music player or on the Music Page, read a new Bio, see even more brand new Photos, and a new gallery called “Inside Scarborough Fair”, and view the Teaser Video. Last year I wanted to make a big music project but as things got going this old English traditional song, “Scarborough Fair”, starting showing up all over the place for me. I have been spending a lot of time in green lush places lately and I started to imagine the woman in this song walking through the landscape. I heard her voice so clearly and I went to the piano and started to tinker out the first bit of the song. After looking up the right lyrics I discovered that the popular versions that we usually hear are a combination of both a man’s part and a woman’s part. I decided that I was going to sing just “her” part, so the lyrics I sing are the woman’s response to the man’s lyrics. I imagine this couple is probably having a bump in their relationship and are trying to get each other to do the impossible task to win back their love… but I sensed at the end both of them want to forgive, want to move forward, but perhaps their pride is in the way? I felt when I was recording “Scarborough Fair” (which was done piano/vocals together at the same time) I felt “her” soft vocals maybe gave the game away… maybe just a touch. I personally think true love prevails at the end. James Clark, my husband and co-producer, and I recorded “Scarborough Fair” with our new friend and engineer Dee Kei Waddell from Cold House Studios. Caroline Kemper ReidReynoso (who has played on pretty much every one of my albums!) played her amazing Celtic Harp which gave it the perfect “cherry on top”. Peggy Fernandez captured the beautiful visuals, I could hear the music singing through the trees and green meadows… down to “Scarborough Fair”.